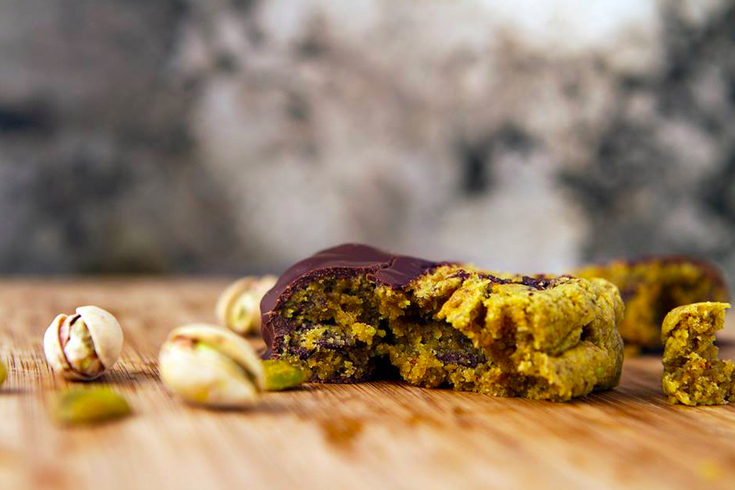 Vegan cookies from Love Chunk, like the one pictured, will be available at Philly's Vegan Pop Up Flea on June 26 in West Philly. V Marks the Shop, an all-vegan online store, will host a pop-up market on June 26 at The Rotunda in West Philly. Joining the shop will be a handful of other vendors selling vegan food and goods. Find vegan and cruelty-free makeup products form Baby Bat Beauty, vegan cookies from Love Chunk, vegan pastries and cakes from Crust Bakery and handmade vegan soap from The Urban Cabin Soap Co., among the mix. The Plant Power Couple blog will also share vegan recipes with attendees. One of the latest concoctions on their site is "Carrot Dogs," a carrot that tastes like a hot dog. The market is free to attend, but registration is recommended.